School vacations can pose logistical difficulties for families with small children. Parents are likely facing anxiety over coordinating daycare options or time off from work while children are simply excited to get their first break off since the holidays. If a parent is lucky enough to spend a day or even the entire week with them, they may wonder what to do to fill the time. Winter break can be particularly challenging because the weather is unpredictable and children become stir crazy. Therefore, it’s important to plan a day where you get outside and it’s also important to plan some educational activities. Last winter we decided to head to the library at the beginning of the week. After taking some time to look around each kid picked out the books and movies that they wanted. Before checking out, I suggested we head over the Museum Pass section to see if there were any interesting places we could visit. The Empire State Aerosciences Museum in Schenectady County was available and our younger son Theo, who enjoys planes, suggested we visit this museum. This suggestion met little resistance from Conor and our daughter, who was only six months old at the time, was not able to disagree. When we got home, I suggested that we see if there were any hikes near the museum that would be easy to do first. There were questions about how we could hike a mountain with enough time to go to a museum afterward. But I assured them we were looking for something short enough to finish without rushing. 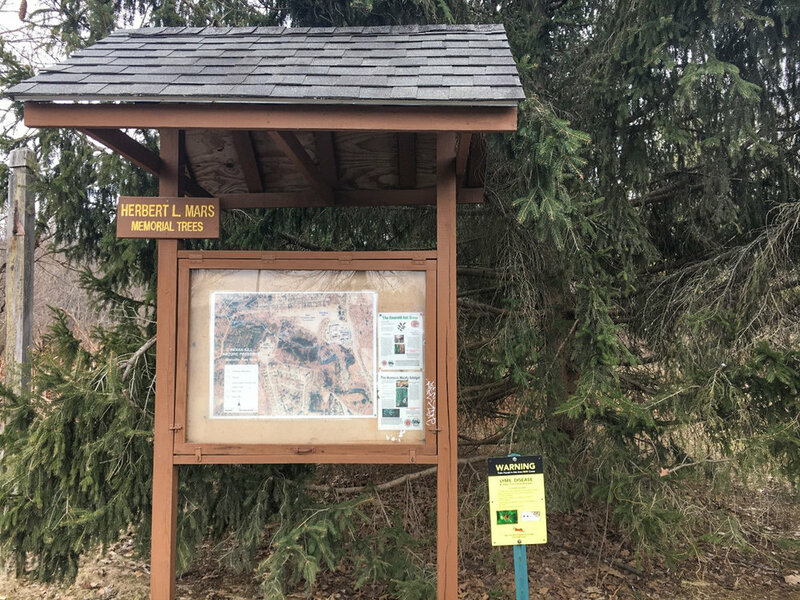 A quick search on Google Maps showed that the museum in Glenville, is located only 2.5 miles or about five minutes from Indian Kill Nature Preserve in East Glenville – on the Saratoga County border, next to Clifton Park. This was perfect for us because I had been meaning to bring the kids to the preserve. Wednesday morning rolled around and it was go-time. Before the kids woke up and my wife Sara headed off to work, we prepared lunch. After breakfast we got everyone dressed and ready to head out. Indian Kill was the first stop of the day. Heading west on I-90 and then getting onto I-890, it’s 30 minutes from Albany. 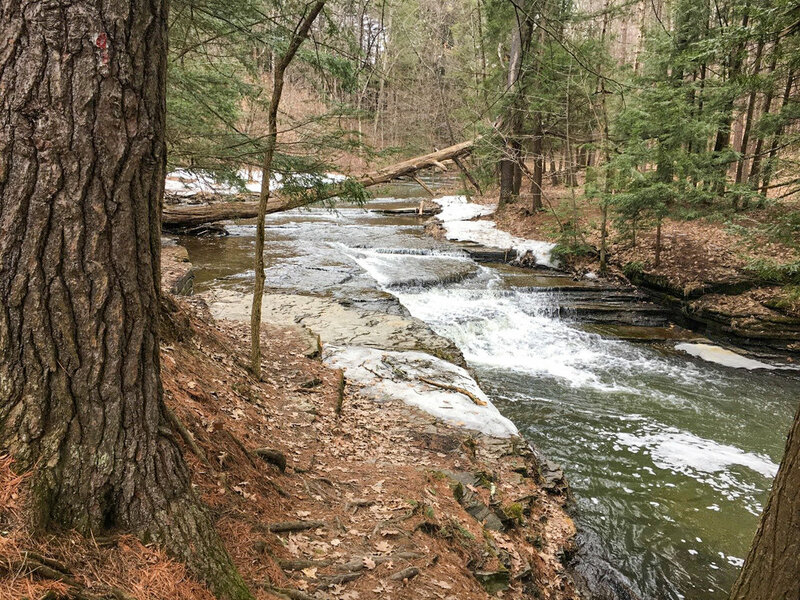 The trailhead to Indian Kill Nature Preserve is off of Hetcheltown Road, a quarter-mile from the intersection with Maple Road, and across the street from the Schenectady County Water and Soil plant. We arrived at the parking lot around 10am. We conferred with the map prior to deciding on the route to take, and after everyone was prepared, we headed out. The beginning of the trail was met with some complaints as shortly after entering the trail we encounter a short but steep descent. In addition to snow and ice, this patch had lots of mud and everyone had to be careful not to lose their footing. From here we followed a counter-clockwise loop that took us first on the red trail or Claire Schmitt Trail. After another short distance we came to a dam. The dam has a bridge to cross and got a fair amount of attention as the kids were surprised to see a dam in this preserve. Happy the dam crossing had distracted them from the mud complaints, I took this opportunity to point their direction towards the woods. We decided to try and figure out what types of plants and trees were in the woods around us. A little research beforehand alerted me to the fact that Indian Kill is home to primarily maple trees, but a keen observer will also find oak and even cherry and hickory. Because of the timing of our trip we were not able to use the leaves as a clue, but the bark patterns served useful, as did some of the fallen leaves that were visible from autumn. Underneath these leaved trees are lots of ferns and surrounding cedar and hemlock conifer, which we were able to identify. We have not returned during the spring or early summer but there is supposed to be a great showing of flowers during this time. After about a mile we encountered the final of three crossings of the Indian Kill that the Claire Schmitt Trail takes. This crossing did not have a bridge and we did not have a change of clothes in the car. It may have been poor oversight but this made the decision not to cross the flowing stream in the cold with three children easier. With few complaints we backtracked along the trail until we came to the intersection with the Yellow Trail. We took this and continued counter clockwise until we came back to the dam crossing. Along the way we came across a downed tree that had a lot of mushrooms on it. We arrived back at the car after about 70 minutes and approximately 1.8 miles. This turned out to be perfect for our purposes on this outing, but the trail we took can easily be made into a 2.25-mile trip (Google Maps route: gmap-pedometer.com/?r=7338965). If the Indian Kill is frozen or there is little water flowing, adding additional distance on the Red Trail can extend the trip further by a mile. Otherwise, in warmer seasons you must be prepared with appropriate footwear or be willing to get wet, to extend the trip to the furthest reaches of the preserve. Once we cleaned up and everyone was situated, we took out and enjoyed our packed lunches. It was now noon and we were ready to drive the five minutes over to the Empire State Aerosciences Museum. It takes approximately 90 minutes to enjoy the museum. Some pre-planning can be done by visiting their website (esam.org) and deciding what exhibits may be most interesting. The museum also offers programs for children. There are several interesting exhibits, but one they particularly enjoyed was the 109th Airlift Wing section, which discusses the operation of the C-130 Hercules Aircraft. 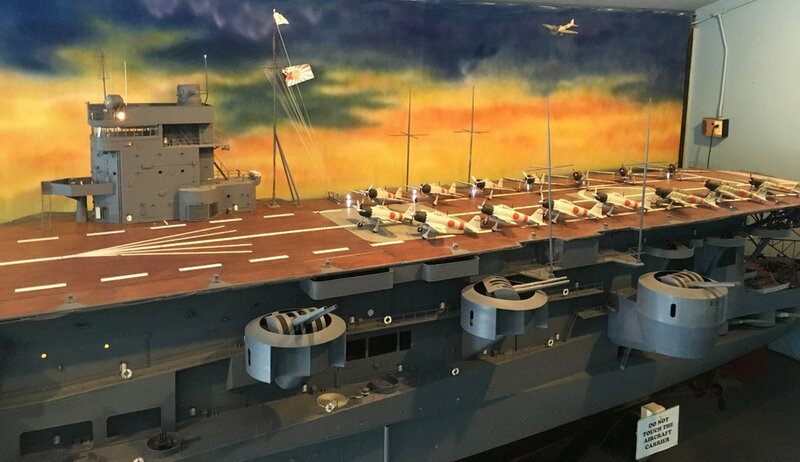 Part of the exhibit allows you to practice take-off and landing of a model C-130. The kids were excited to learn that the Schenectady C-130’s are the only ones in the U.S. equipped with skis! This allows them to make the trip to Antarctica. It was easy to explain the significance to the kids, as former astronaut Buzz Aldrin had been rescued the previous winter from Antarctica by the Stratton National Air Guard team, after falling ill with pneumonia (timesunion.com/local/article/Buzz-Aldrin-recovering-after-Antarctic-rescue-10678756.php). For more info on the 109th Airlift Wing, visit 109aw.ang.af.mil. It was now 2pm and I could tell everyone was beginning to get tired. We made a quick stop at the gift shop, where we picked up a nerf-like air rocket and puzzle, which seemed like a bargain as both kids were excited. On the way home, some quick thinking reminded me that we were close to Villa Italia Bakery, so we stopped for pastries and hot chocolate. We arrived home by 3:30pm, which allowed us to beat rush hour traffic. Everyone was tired and I agreed to put on the movie we had checked-out. By the time mom came home everyone was napping instead of watching the movie! There are many options like this in the Capital Region and upstate New York. This approach to a day during winter break has many upsides. It was filled with walking so everyone was able to get exercise. It was also filled with educational activities so we had fun and learned while taking a break from school. Finally, we accomplished all of this for approximately $30, not including gas. For a parent and three children, this is a bargain – and it filled the entire day! Tom O’Grady, PhD, MPH (thomas.james.ogrady@gmail.com) of Slingerlands is an avid runner, hiker and lover of the outdoors. He is an epidemiologist with NYS DOH. With a lifetime of racing experience, Tom also obtained his NYS DOE coaching license, and is USATTF level 1 and Jack Daniels certified to coach distance runners and endurance athletes.